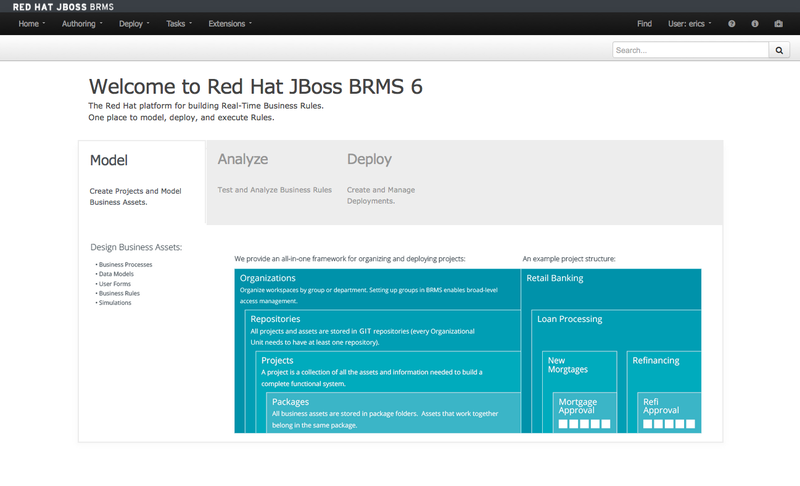 Exactly one year ago we announced and launched a site for you to get started with the JBoss BRMS product, we called it the JBoss BRMS Starter Kit. 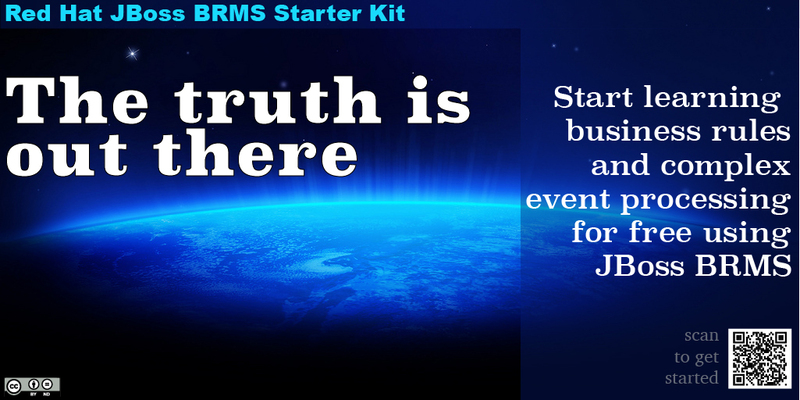 Shortly thereafter we hosted a webinar presenting the starter kit, which was one of the largest registrations and attended JBoss BRMS webinar to date. Now we have produced more content, demos, examples, videos and workshops that we want to share in a logical order for interested parties to get started quickly with JBoss BRMS. The last weeks we have revamped the original content and present what we hope you will enjoy. This path has been set out in seven steps that provide a straight forward path towards discovery, introduction, installation, learning, hands-on experiences and finally provides you with a way to pass it on with workshops-in-a-can. Targeting the right audience, who are you? The video section is growing with small videos that are meant to isolate individual issues, components, ideas and actions in the product and will grow over time. 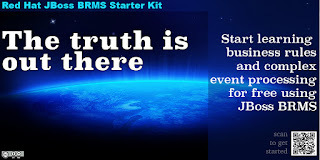 Feedback welcome, please don't hesitate to reach out about the content or structure and enjoy your JBoss BRMS Starter Kit.